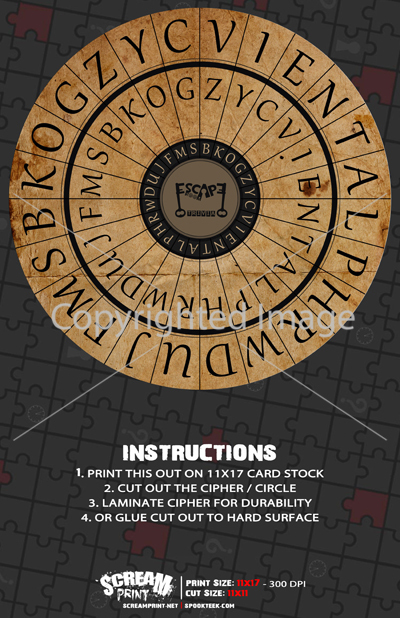 Categories: Ciphers, Download & Print. The Escape Room Trivia – Round Cipher. Download and Print. This is what your Print will look like. Just take it to your local print shop and have it printed on 11in x 17in paper.